I used to hate spinach (saw it more as a detox) as a veggie option for a long time until recently when I made it work for me and it had been yielding without tummy bugs. 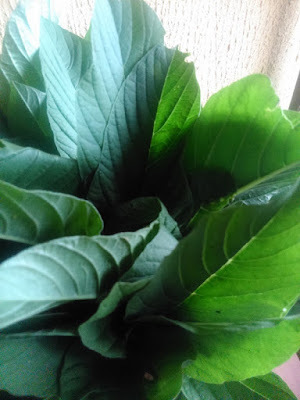 I grew up to not only steam spinach but blanch it if you ask and I get all manners of tummy troubles a day after, so I grew to dislike spinach. 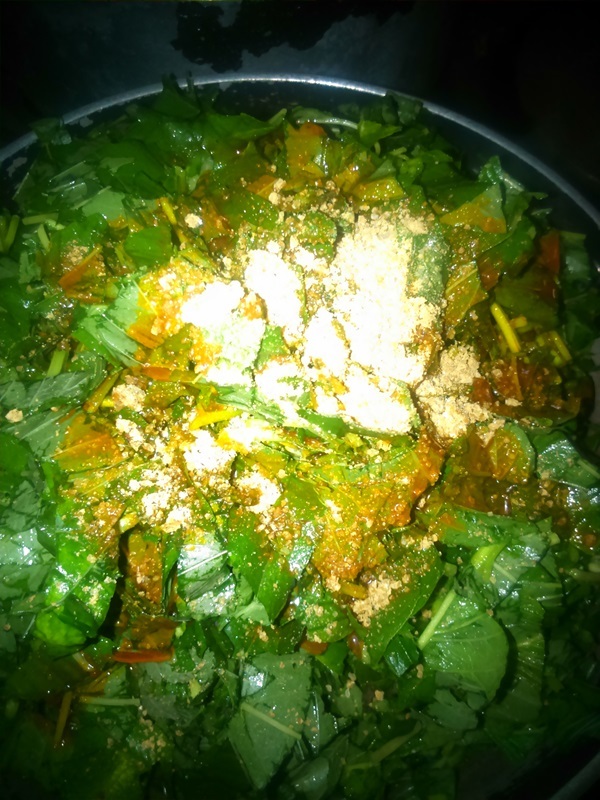 As a student I met some ibo girls that made me love ugwu (pumpkin leaves) and so I discarded spinach but during the dry seasons, ugwu is so untouchable. All these pushed me into finding a way out, so I can eat my spinach with all its nutrients intact and not having to frequent the bathroom 12 hours after. I got some spinach from the garden on Saturday and I wanted to just share what I did with it. 6. In a clean pot add the water, the tomatoes, pepper, fish, locust beans and cover to simmer till water is almost drying up. 7. Add the onions first, shredded spinach, and desired oil. Add the stock cube too and cover. 8. Let the veggie simmer for 5 minutes or until you see the vegetable shrink to half the size. 9. 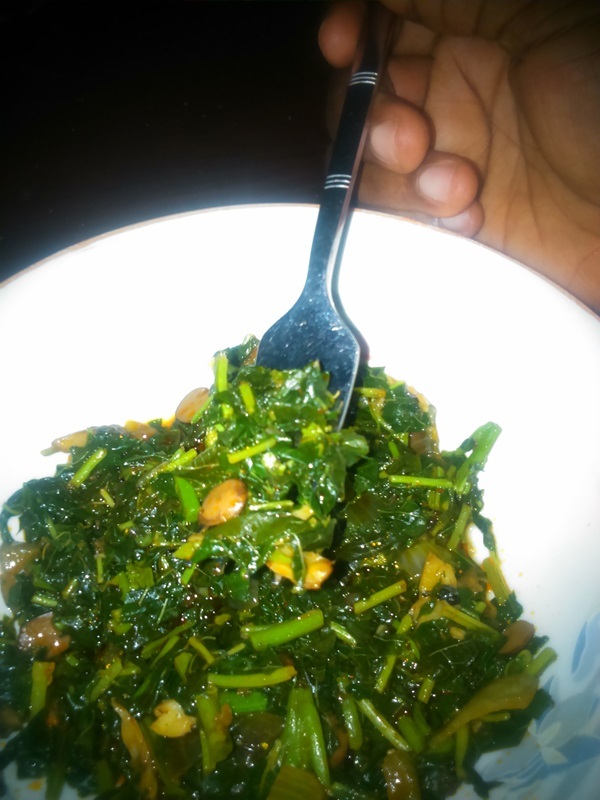 Stir everything together and taste before adding salt (*the salt I use in washing spinach and the one in locust beans is sometimes just all I need) to taste. 10. Eat alone or with any carbs of choice.